This delicious yet simple pasta sauce is a timeless classic from Southern Italy and uses only 5 ingredients. 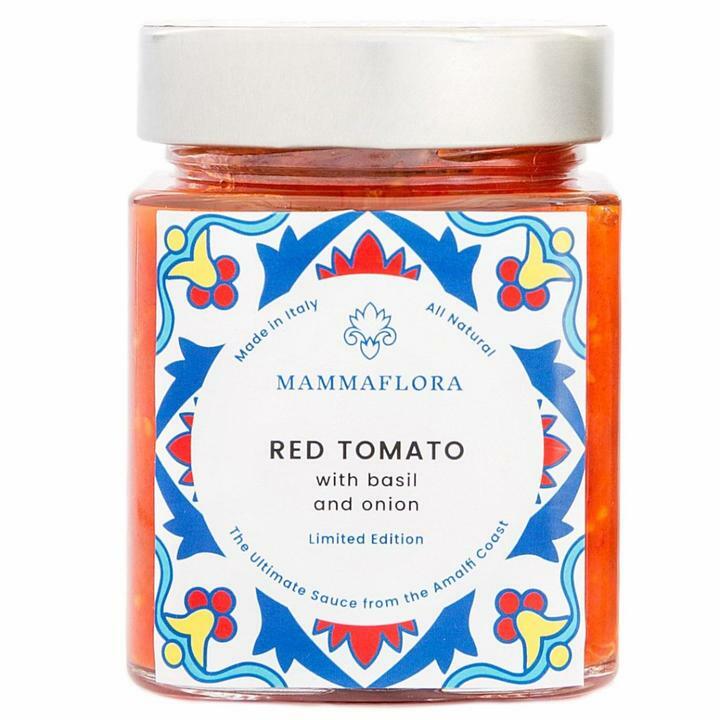 It's based on a family recipe with handpicked tomatoes, Monotro onions and fragrant basil. Then all that's added is extra virgin olive oil and salt. All ingredients are locally grown in Southern Italy by a small scale farmer, with everything handmade from the harvest right up until the labelling. 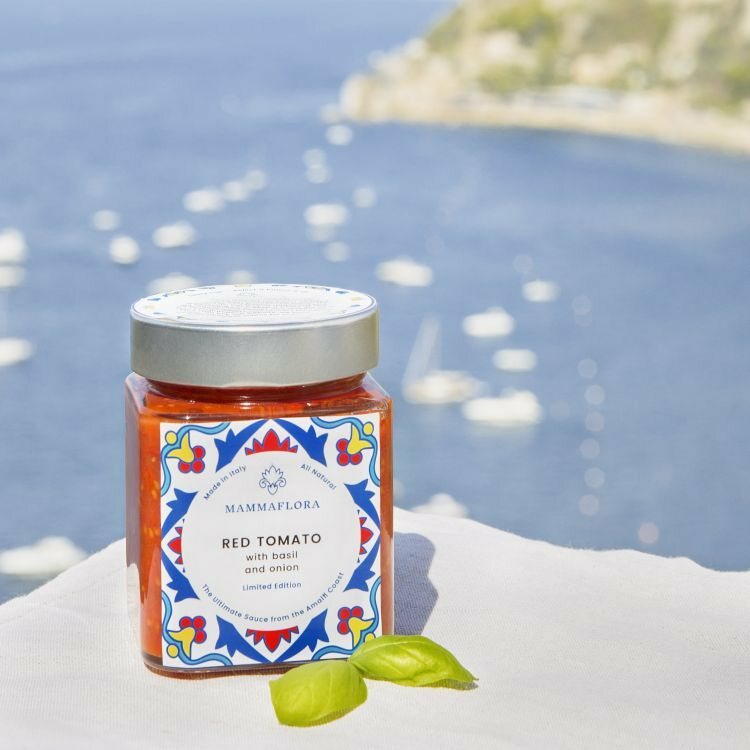 The ultimate sauce from the Amalfi coast made using only good, simple, all natural ingredients. Pairs perfectly with Mamma Flora's pasta, in particular Spaghetti or Penne. Simply add to your pasta and serve. Comes as 1 x 300g jar of sauce, or stock up and save with 3 x 300g jars. Each 300g jar is enough for 3-4 portions. Choose the pack size you want using the options on the right-hand side. 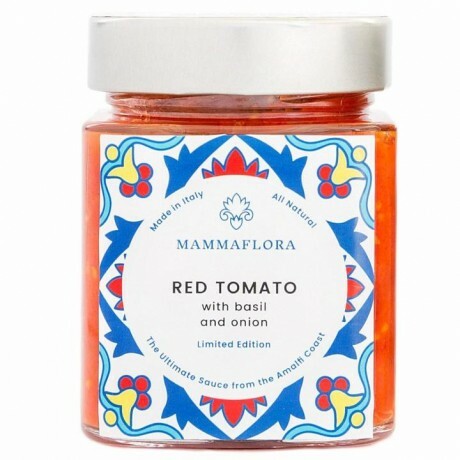 Mamma Flora aim to provide the best, authentic natural products with great Italian taste for others to enjoy. No artificial ingredients, just pure delicious goodness. Shelf life: 2 years unopened. Once opened, it should be refrigerated. Best pasta and sauces in London. Best pasta and sauces in London. Absolutely love their products. The ultimate original fresh sauces, pesto and pasta from the Amalfi Coast of Italy.